Welcome to the family, Yeti SB5. You’re a Reid now. Make us proud. 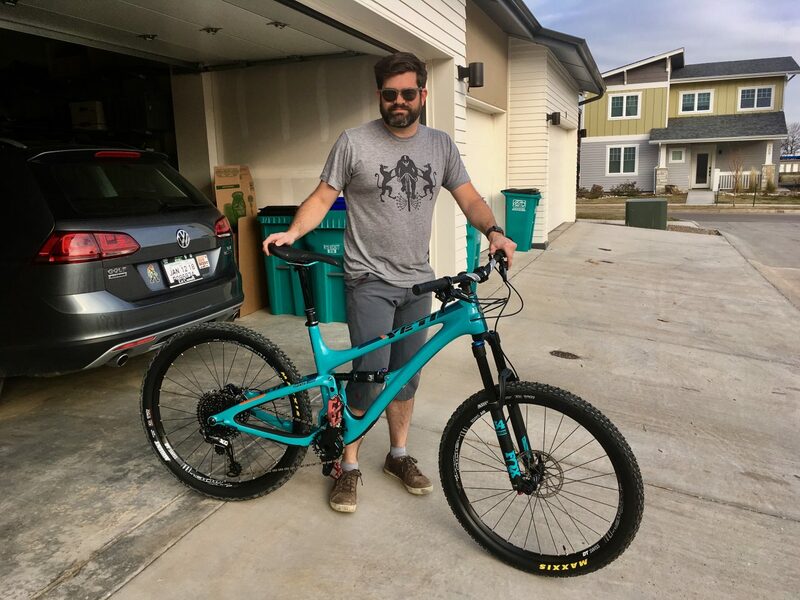 The SB5 is Dan’s first full-suspension mountain bike. Maybe a year ago he rented this same model while on a ride through Pisgah National Forest with his good friend and fellow daredevil Nathan. Dan came home obviously smitten with that mountain bike — a bike which would have been overbuilt and ridiculous to own in Ohio. There’s much more trouble to get into out here. P.S. I almost titled this post “Welcome to the family” but my mom definitely would have assumed I’d gotten an dog. The backlash when she realized she doesn’t have a new grandpuppy would have been brutal. I’ll probably still take flak for it. Taunt the bull-get the horns. My grand dog is NOTHING to joke about.